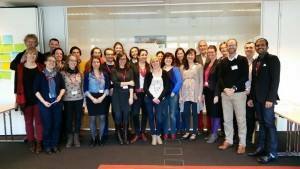 At the end of March 2015, the IDC and Flemish Refugee Action (Vluchtelingenwerk Vlaanderen) co-organised a two-day workshop in Brussels, Belgium on monitoring immigration detention for civil society organisations, with the support of EPIM. The meeting provided the space for a constructive discussion around what monitoring looks like in practice, sharing experiences, challenges and positive practices. The workshop was attended by 29 participants from 14 different countries in Europe, comprised of IDC members, members of the Belgian Visitors Group and EPIM grantees. A briefing note summarising the content of discussions, with examples and tips on monitoring for NGOs, will be published in the coming weeks. Over the past decades, the need for independent monitoring of places of detention has been increasingly recognised by the international community as key way to protect the rights of persons deprived of their liberty. “This need is all the more acute in the case of immigration detention” said Jem Stevens, IDC Europe Regional Coordinator, “as detained refugees, asylum-seekers and migrants are particularly vulnerable and often less able to assert their rights due to language barriers, lack of support networks, limited knowledge of rights, and their difficult and sometimes traumatic experiences in the past”. Monitoring opens up the closed world of immigration detention, bringing to light conditions and treatment that may not otherwise be known. In this way, it can help correct the power imbalance between detainees and the authorities and have a deterrent effect for abuse. Monitoring can assist the authorities to identify systemic problems and risks factors for future human rights violations, as well as concrete solutions to improve the functioning of places of immigration detention and protection of persons deprived of the liberty. Monitoring can contribute to normalising the environment and decreasing tensions in places of immigration detention, as well as improving the working environment and conditions of staff. By increasing transparency and accountability, monitoring can help improve the conditions and treatment in immigration detention, and ensure the rights of detainees are respected. The workshop was designed as a participatory event, with interactive sessions and presentations from participants. 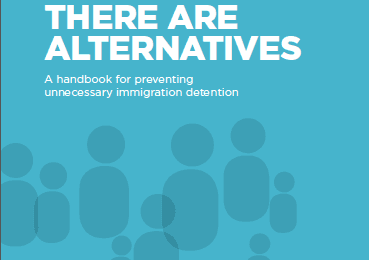 The agenda of the workshop was structured around the publication Monitoring Immigration Detention: A Practical Manual, published by the Association for the Prevention of Torture (APT), UNHCR and the IDC in 2014. During the event, participants shared ideas and experiences on: what is monitoring and how to gain access to places of immigration detention; preventive monitoring; developing monitoring strategies, conducting visits, tools for monitoring, follow-up to visits and advocacy strategies. Break-out groups further focused on specific issues, including: monitoring with volunteers; balancing monitoring and individual case work; ensuring “do no harm in monitoring”; making effective recommendations and analysing data from monitoring; as well as how to monitor selected thematic issues in detention such as access to healthcare, asylum and assistance. Materials from this workshop can be shared with members on request. 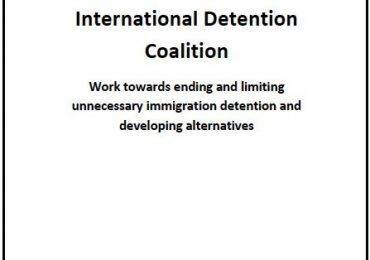 For more information please contact Jem Stevens, IDC Europe Regional Coordinator ([email protected]).